This console was the property of the late Chris Tsangarides and was used by him until his untimely death in January this year. 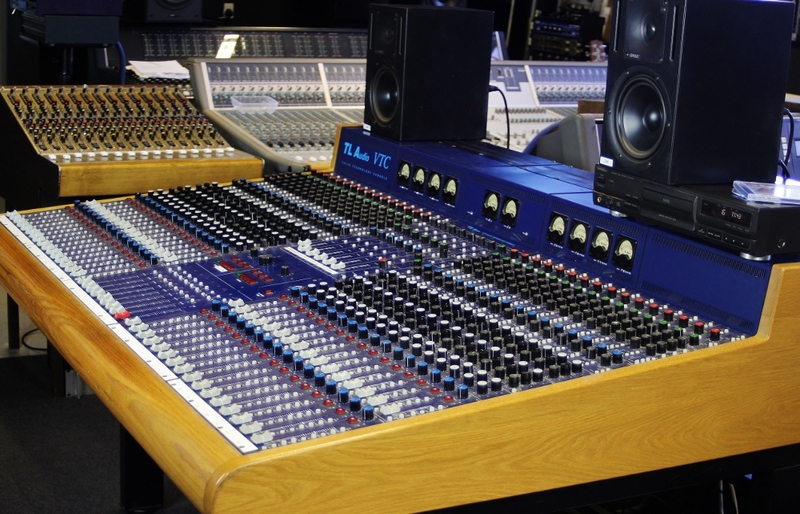 Top Record Producer Chris bought the desk to record the Gary Moore album ' Back to the Blues ' in 2001 and liked it so much that he installed it in his own private studio Chris used this console until the end of his life. The VTC is known for its superior sound quality, it is a hybrid console which combines solid state electronics with valve technology resulting in the sound quality we all associate with valve recording equipment. VTCs are used by a wide range of professional musicians and producers too many to list here but there is one story which demonstrates the audio quality of the VTC. Record producer Kipper owns an 8 channel VTC and when he was commissioned to co-produce an album with Sting he took his little VTC along. Now Sting owns a large SSL console which is contained in 3 flight cases and travels to wherever he wishes to record. On this occasion when Kipper turned up with his VTC Sting's engineer asked why he had brought it with him as in is opinion, Sting owned the best console available at the time. The result - all of the instruments and vocals were recorded using the VTC and the SSL was used for the mixing. Other VTC buyers include Coldplay, EMI, Dizzie Rascal, Damon Albarn, Tom Misner, Toploader, Morecheba and many more, over 100 sold.